EWG scientists reviewed AveSeena Honeyactive Beauty Mask for safety according to the methodology outlined in our Skin Deep Cosmetics Database. We assess the ingredients listed on the labels of personal care products based on data in toxicity and regulatory databases, government and health agency assessments and the open scientific literature. 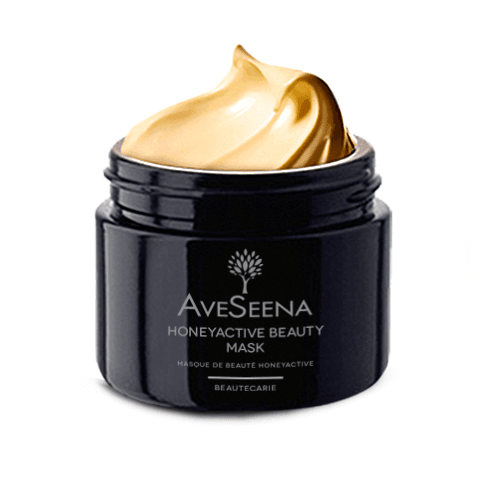 AveSeena Honeyactive Beauty Mask is EWG VERIFIED™. Apply a generous amount to dry face and neck. Allow it to infuse the skin for 10 minutes. The mask does not dry/harden. Rinse with warm water. Use 1-3 times per week. â€¢ Appliquer en couche Ã©paisse sur peau sÃ¨che. Laisser agir pendant dix minutes. Rincer le masque Ã l'eau. Utiliser 1 Ã 3 fois par semaine. Warning: For external use only. Do not use on damaged skin. Keep out of eyes. Stop use if irritation occurs. Keep out of reach of children.â€¢Attention: Pour usage externe seulement. Ne pas utiliser sur LA peau irritÃ©e. ArrÃ¨ter lâ€™utilisation en cas dâ€™irritation. Ã‰viter le contact avec les yeux. Conserver hors de la portÃ©e des enfants.